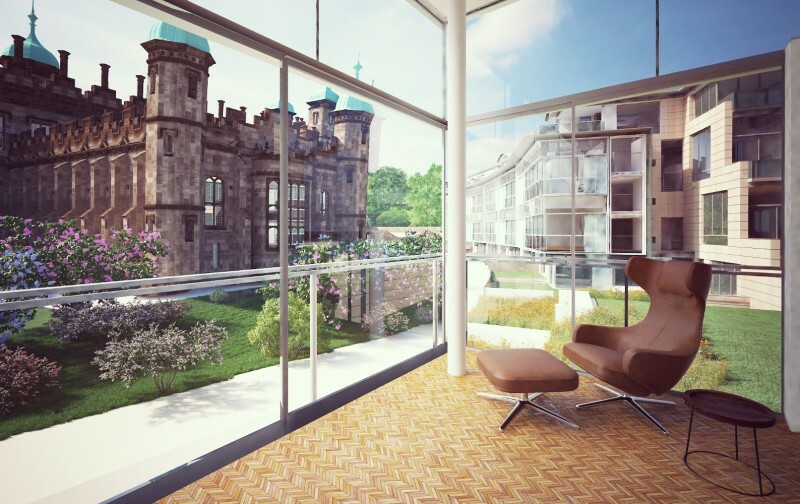 Final plans for the restoration of Donaldson’s College and creation of an exciting new build crescent overlooking the historic building in Edinburgh have been submitted in a joint application from City & Country and CALA-Evans. 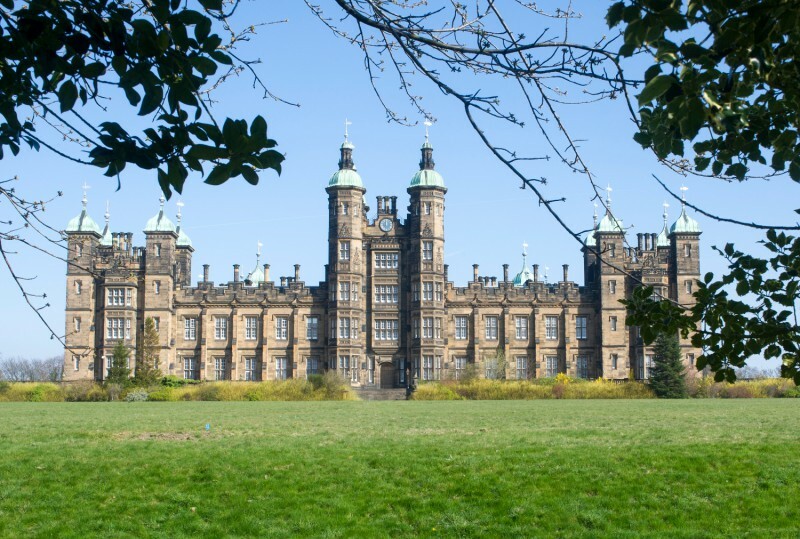 Heritage restoration specialist, City & Country, has lodged details of its proposals to transform the Category A-Listed Playfair building into 117 residential homes, while also converting two gatehouses. Meanwhile CALA Homes proposes to create a split crescent of 84 stunning new build apartments to the north of the building, one of the most recognisable in the Scottish capital. Both City & Country and CALA have been involved in a series of public consultations with local residents, businesses and other stakeholders about the updated planning consents, which were first approved in 2007. Helen Moore, Managing Director of City & Country, said: “This is a truly magnificent building in a World Heritage Site, so it is absolutely right that such time and effort has gone into the public consultation. “Having listened carefully to extensive feedback we are confident that our plans provide the best possible solution to safeguard the iconic Playfair building, while sensitively adding a new layer of history to the site. “The local community, businesses and the City of Edinburgh Council have all stated how important it is to see this building secured for future generations and it is vitally important that a viable new use is found. City & Country will create stylish conversion apartments, from studios up to three bedroom luxurious duplexes with views over the city. Being an expert in the restoration of listed buildings the proposals are very sensitive to the heritage of the building and many historic features are being retained including original joinery, fireplaces, cornices and staircases. Through the clever use of space, including the basements and attics, City & Country will create a varied mix of property types, while leaving virtually no vulnerable void areas. Crucially, the planning submission ensures there will be no additions or extensions to the existing building and the South lawn will remain an open, grassed area. CALA’s proposed new crescent to the no rth of the site would create a varied mix of property types, including family units, one bed apartments, maisonettes, ground floor apartments with private gardens and magnificent penthouses. Parking for all residents would be within discrete underground car parks. All of the new properties would boast panoramic views of the Donaldson’s building, its 17 acre setting and beyond. David McGrath, Managing Director of CALA Homes (East) said: “Throughout the process we have liaised closely with planners and with other departments within the City of Edinburgh Council. It has been reassuring that they have been so committed to seeing this site restored. In November 2014 it was announced that site owners CALA Evans would be working in partnership with City & Country to progress the Donaldson’s redevelopment. A public consultation event was held in February, when more than 240 people turned out. Feedback was reviewed and considered by the development partners before revised plans were drawn up for the next public consultation on March 19, helping shape the final plans which have now been submitted. City & Country is a family owned business, founded in 1962, specialising in the restoration and conversion of historic and listed buildings into unique dwellings of exceptional quality and character. In recognition of its Vision, Values and significant growth, City & Country was a warded the WhatHouse? 2014 Housebuilder of the Year award and Residential Developer of the Year 2015 in The Props Awards. CALA Homes is a premium national homebuilder operating throughout Scotland, the South East of England and the Midlands. It was named Medium Housebuilder of the Year at the What House? Awards in 2012 and again in 2013 when it also won overall Housebuilder of the Year.